Lori's Mobile Notaries, LiveScan & Vin Verifier Specialists are always available, experienced and professional. Lori's is one of Santa Barbara’s leading mobile notary public, our on-demand Mobile Notary & LiveScan services are comprehensive and we bring experience, reliability, and professionalism to the table. An Apostille is an internationally recognized form of authentication. An Apostille is required for all types of documents that are to be used in foreign countries. The sole function of the Apostille is to identify any stamp or seal affixed to an official document; certify the authenticity of the signature on the document, and the capacity in which the person signing the document acted. The use of the Apostille was first instituted at the 1961 Hague Convention which did away with the Requirement of Legalization for Foreign Public Documents. Under the Hague Convention, participating countries have agreed to recognize public documents issued by other signatory countries if those public documents are authenticated by the Apostille. The Apostille guarantees that public documents issued in one signatory country will be recognized as valid in another signatory country. 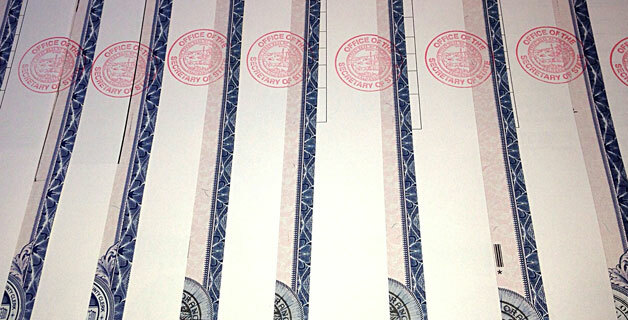 WHAT TYPES OF DOCUMENTS COMMONLY REQUIRE APOSTILLE SERVICES? WHEN IS IT AN APOSTILLE? An Apostille is required for all types of documents that are to be used in foreign countries. This ensures that your document will be recognized as legitimate in all participating countries that are party to the Hague Convention Abolishing the Requirement of Legalization for Foreign Public Documents.